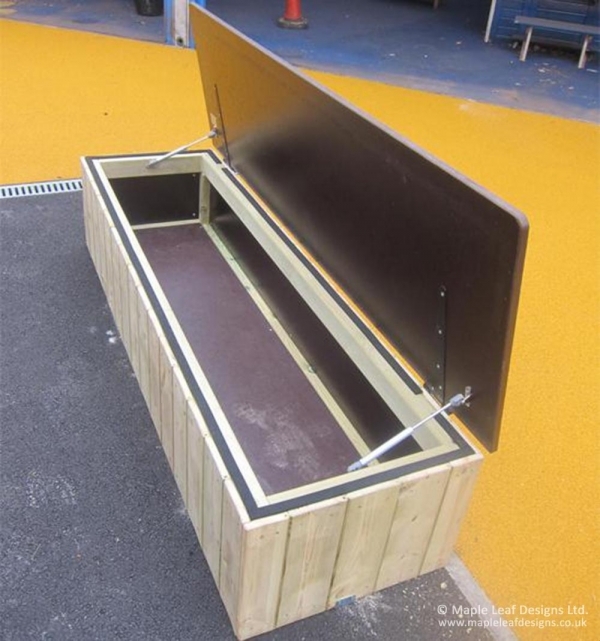 Playground storage comes in all shapes and sizes, with our Storage Chest being one of our smaller, least intrusive options. It’s perfect for storing small playground toys and accessories, and with the lid down the hexadeck top is strong enough to be used as seating. Though a natural finish is standard we can colour the timber to match your playground theme.